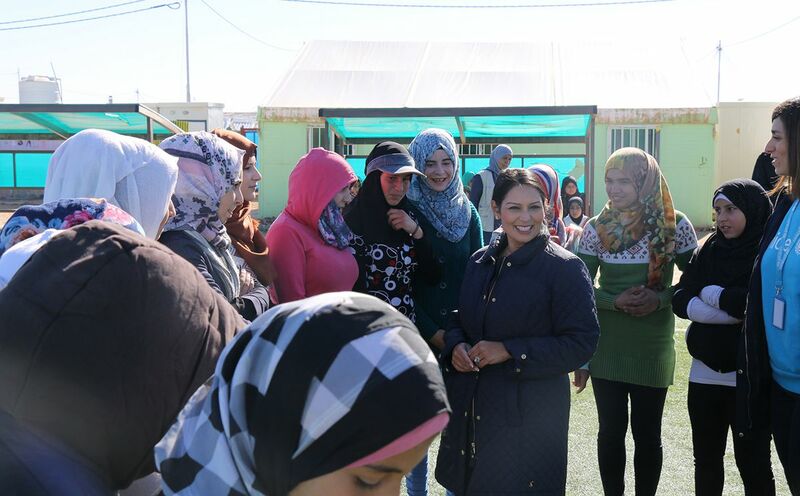 International Development Secretary, Priti Patel meets children at UK-supported, UNICEF-run, Makani informal education centre & safe space for Syrian children. Photo courtesy of UK Department for International Development (DFID). DFID uses Tableau to rapidly analyze datasets from multiple partners in Syria and adjacent countries. Interactive, visual analytics enable DFID to accurately identify where to target aid and improve the coordination of humanitarian services, such as food, water, shelter, medicine, and education. By turning location data into interactive maps, DFID understands the latest crisis situation in any one of the 281 sub-districts of Syria. DFID analyzes information like age and gender of affected populations, number of healthcare cases, results of sanitation and hygiene activities, and availability of clean water sources. 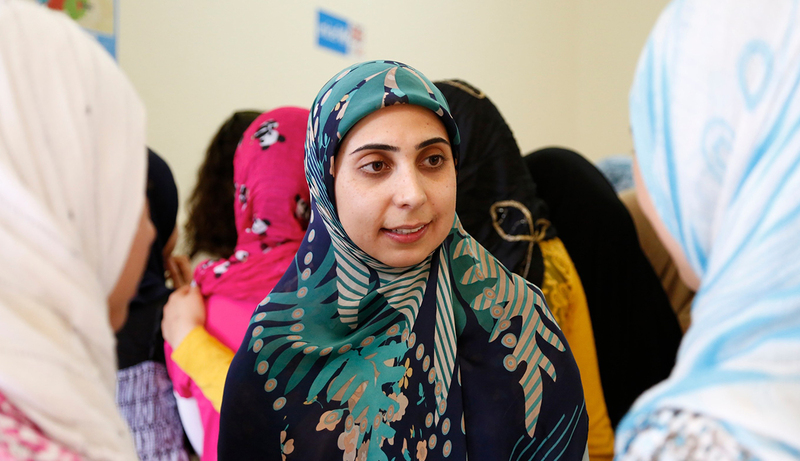 In turn, DFID helps meet the needs of vulnerable groups in Syria, including some in hard-to-reach areas and surrounding countries. In response to conflict in Syria, the UK Government committed £2.3 billion ($3 billion) in aid since 2012, through The Department for International Development (DFID). DFID allocates funds to multiple implementation partners, including United Nations agencies and international non-governmental organizations (NGOs), helping meet the immediate needs of vulnerable people in Syria and the surrounding regions, including Jordan, Lebanon, Turkey, Iraq, and Egypt. DFID relies on multiple partners working in Syria and elsewhere to explain the situation on the ground. Armed with this knowledge, DFID can determine the best course of aid action. One of the challenges was determining where best to allocate funds and resources: which partners need which resources, when, and where. Implementation partners share data from the field, on subjects as varied as location, demographic, and medical information. One specific example is data provided on geo-political issues, such as which territorial borders are open to safely channel aid, the control in each of the 281 sub-districts in Syria, and updates on the provision of education services. 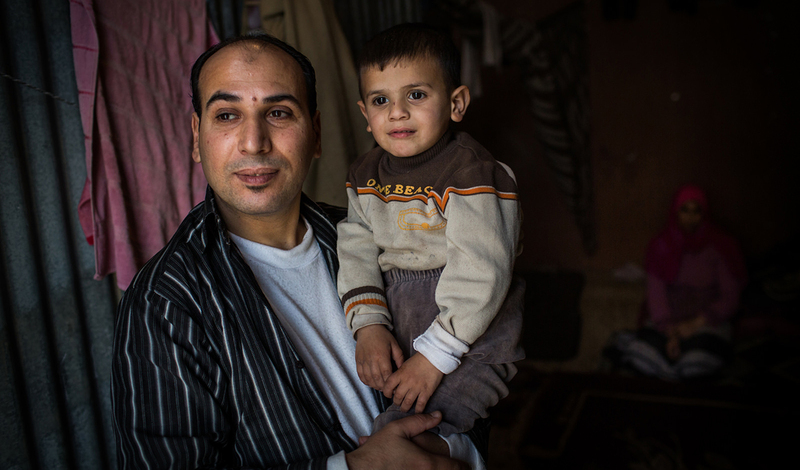 DFID helps support Syrian families most in need in Lebanon. Photo courtesy of UK Department for International Development (DFID). These reports are sent from the field to DFID as spreadsheets, PDFs, or local Access databases, and comprise thousands of rows of data. With so many reports to consolidate, the DFID had a hard time creating a holistic picture of relief efforts. A Lebanese teacher talks to two Syrian refugee girls at an information session about gender-based violence and early marriage in southern Lebanon. Photo courtesy of UK Department for International Development (DFID). In response to these data analysis challenges, DFID turned to Tableau as the state-of-the-art solution for information analysis and visualisation. The interactive visualizations enable DFID to pinpoint quickly and accurately where to target aid. Bergeth explains, “With Tableau it’s apparent very quickly what the humanitarian crisis is, where it is happening, and what response we need to put in place.” The situation on the Syrian border crossing points, for example, is visible now. Multiple Excel files are pulled into Tableau, giving the team in London a more complete view of individual circumstances. For example, whether a sub-district is within safe reach of implementing partners, the care taking place on the ground, and the status of refugees. Tableau’s geocoding is transforming the way the DFID looks at data. In a few clicks, Bergeth and his team can zoom into a map of any one of the sub-districts of Syria and analyze a wide variety of scenarios. For example, age and gender of refugees, number of primary healthcare cases, return on investment for sanitation and hygiene programs, and accessibility of clean water sources. DFID can also incorporate third-party datasets to enrich their insights. For instance, weather data from publicly available meteorological sites helps DFID plan measures to provide more blankets, tents, or additional water supplies in extreme weather conditions. DFID is not only using Tableau to support the humanitarian emergency in Syria. In Turkey and Iraq, analysis of the registration of arriving Syrian refugees also enables the provision of basic humanitarian assistance including food, shelter, and relief packages. Using Tableau dashboards, the DFID helps improve the quality of education for early grade primary school children in Jordan. And in Lebanon, insights from the data help provide humanitarian assistance, strengthens the resilience of refugees in a sustainable way. All photos courtesy of UK Department for International Development (DFID).